Hebron is a sad, lost city hidden deep within the West Bank – despite it being only 40km away from the metropolitan, cosmopolitan and similarly contentious Jerusalem. Outside of Gaza, it’s arguably the site where the Israeli-Palestinian conflict is felt the most – where 166,000 Palestinians and 500 Jewish settlers struggle to co-exist. And unlike Gaza, tourists can still visit Hebron and see the conflict played first hand via the graffiti, the public signs, the derelict buildings, and the insistent locals. 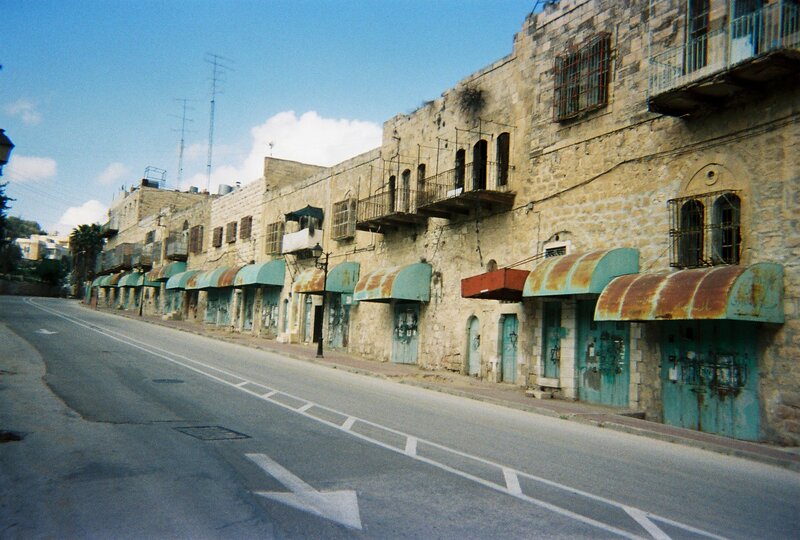 The conflict has rendered the famed Old City of the city lifeless and like many of the great famed cities of antiquity, Hebron is a city crumbling into the dust. The major issue of Hebron revolves around the “Cave of the Patriarchs”. This site is reported to be the burial place of most importantly, Abraham, but also Sarah, Isaac, Rebekah, Jacob and Leah. Consequently the site is holy in Jewish, Christian and Muslim traditions. 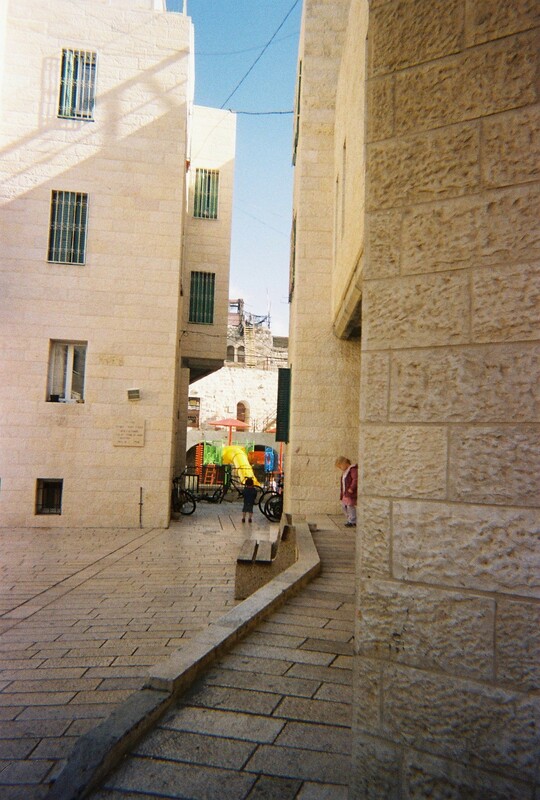 As the resting place of the Jewish patriarchs, the site is considered the second holiest site in Judaism, and Hebron as a result is one of the Four Holy Cities for Jews. Abraham is a key prophet in Islam and the significant Ibrahimi mosque (originally a building created by Herod the Great) sits on top of the Cave of the Patriarchs. The mosque is the second most significant Muslim site in Israel/Palestine. There is further considerable historical baggage resulting from this dual significance – and the city has rarely remained stable. The convoluted history perhaps explains the desperate conflict which exists today. First settled thousands of years ago, the city became one of the key cities for the tribe of Judah. It was the capital of the biblical King David for seven years. During the second Temple Period (i.e. when the Israelites returned after being expelled by the Babylonians), the city was occupied by the Romans, and the Jewish populations were expelled once more. The city fell into Arab hands from the 7th Century AD. After occasional forays from the Crusaders, the city eventually became Ottoman. However it remained Muslim throughout. A Jewish community settled in the city in 1834, and small conflicts existed between the Jewish community and the Palestinian community (who were also keen to cast off Ottoman rule). Britain occupied the city from World War One, but did little to appease the tensions. Fuelled by false rumours of Jews killing Arabs and seizing control of holy Islamic sites throughout British Palestine, sixty Jewish inhabitants were massacred by Arab mobs in 1929 in Hebron. (435 Jews survived by being sheltered by their Arab neighbours). The resulting fallout of the massacre led to the mobilisation of the Haganah, a Jewish paramilitary organisation which eventually morphed into the Israeli Defense Force (the IDF). It also led to Hebron being a key symbol for Jewish sovereignty, and a key example of Arab brutality. The 1948 Arab-Israeli War resulted in Hebron falling under Jordanian control. Following the 1967 Six Day War, Jordan and Israel agreed to a land-swap. Hebron was to remain Muslim, but a group led by Rabbi Moshe Levinger entered the city and refused to leave. The government eventually let the Jewish settlers relocate to the city’s outskirts at Kiryat Arba. However forty settlers moved into the city centre in 1979, and refused to leave. They started damaging the Palestinian businesses in the city centre. Two appeals to the Israeli Supreme Court challenging the legality of this takeover failed. Now, there are reportedly 500 settlers (though shopkeepers argue that the numbers are more like 100), and as a result, the government has been reticent to chase them out. Yet, in what can only be called quixotic public financing, the government funds 100 military checkpoints and 2000 IDF soldiers to protect the settlers there. The resulting tension has exploded in conflict. Human Rights Watch stated in 2001 that “Hebron is a microcosm of the devastating impact of the Israeli-Palestine conflict on civilians. These widespread human rights abuses cannot simply be deferred to future negotiations”. Six settlers were killed in 1980 while returning home from Friday prayers, and other random attacks occurring on settlers, peaking during the Intifadas. In 1994, an Israeli army physician Baruch Goldstein entered the Ibrahimi mosque and massacred 29 Muslims at prayer. The IDF have been accused of using excessive force against Palestinian protesters, of firing at Palestinian civilians and refusing to stop settler intimidation of civilians. Influential Israeli NGO B’Tselem handed 100 video cameras to Palestinians in Hebron, and released incendiary footage of settlers shooting Palestinians in December 2008. Since 2001 17 IDF forces and 5 settler civilians (including a ten month old child) have been killed, while 88 Palestinians have been killed. According to B’Tselem and Israeli human rights group The Association of Civil Rights in Israel, at least 46 of those 88 were innocent bystanders. Outside of the publicised murders, there is also considerable harassment and tension in the everyday. And while both sides have indulged in civilian harassment (Human Rights Watch declares “both sides have shown a blatant disregard for the rights of civilians”), it is the existing Palestinian inhabitants who have borne the brunt in the conflict. Settlers moved into the second and third floor of buildings above the shops in the Old City, and would throw faeces, urine, bricks, and rubbish onto the Palestinian shops below. 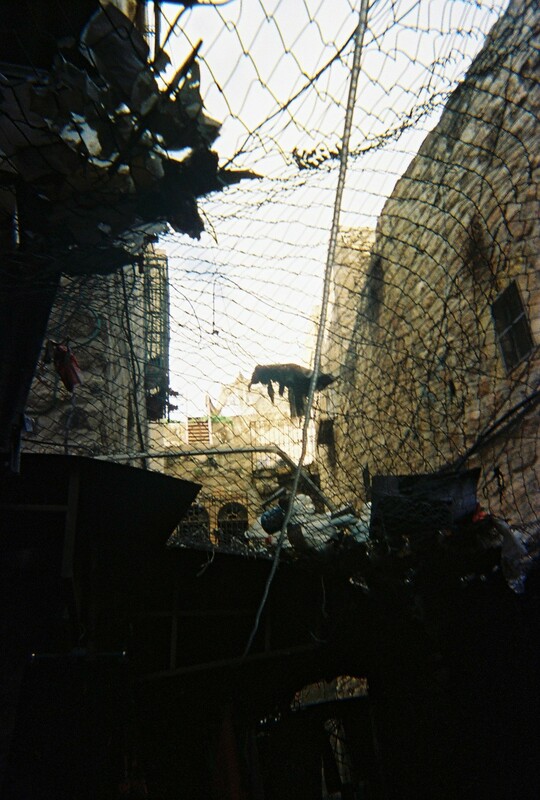 The current Old City is shrouded by nets to catch the rubbish, and walking through the Old City gives the impression of walking under a rubbish tip. Former Palestinian flats only hold the residue of Molotov cocktails. I saw Palestinian kids get deliberately trapped in security doors by IDF security in places they are legitimately allowed, and only released from the door after being forced to wait. Palestinian water tanks have been machine gunned to prevent the storage of water. 77% of businesses in the Old City have relocated to the “New Hebron”, and due to the segregation of the Old City, many of the remaining shopkeepers struggle to maintain business – after all, if Palestinians aren’t allowed to visit your shop, the IDF aren’t allowed to buy things at your shop, and the settlers won’t buy anything at your shop, business won’t be booming. Shopkeepers talked to me about the everyday intimidation they face such as settlers walking around with guns, or the fact they are forced to conduct business with army lookout posts watching them and randomly firing. 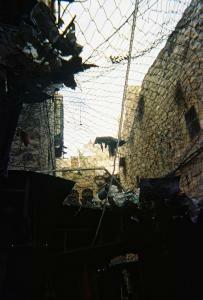 The Old City has become segregated to protect the hundreds of settlers who occupy part of the Old City. The city has been divided into two zones of occupation: H1 and H2. 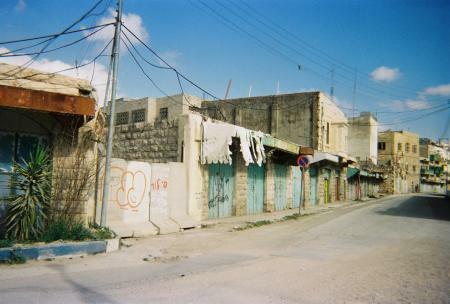 H1 is controlled by the Palestinian authority in theory, and is the site of the “new city” where many of the displaced Palestinians have relocated. However the IDF have constructed permanent watchtowers and their control of the area is contrary to an agreement signed between the Israelis and the Palestinians. H2 covers the Old City and is controlled by the IDF – and includes the Ibrahimi mosque. H2 is also segregated. Palestinians aren’t allowed into the Jewish area, (which includes the main Palestinian cemetery) and are subject to curfews and blockades in the remaining parts of the Old City. (This led to me, given my Indian heritage, being asked at five different checkpoints what my religion was – in the end it was simpler saying “I’m not Muslim” rather than saying anything else). The settler side has become a ghost town: full of stray dogs, rubble for furniture, Stars of David emblazoned on former Palestinian shops, IDF outposts (the soldiers I talked to didn’t want to be there either – one got the feeling Hebron was the assignment the soldiers wanted the least). Otherwise there was very little evidence of life, or very little evidence of a point in fighting so hard for it. The Palestinian side is also collapsing, and people whose ancestors lived there for over a thousand years have been forced to leave their homes. Locked doors are more common than open ones in what was once a thriving market. The lack of sunlight (from the rubbished nets) is a complete contrast to probably every other place in the Middle East, and shopkeepers are left desperate to sell anything because they haven’t sold anything all week. Residents have been harassed or assaulted in attempts to chase them out. Further, according to The Independent, between 1995-2008, 218 shops were forcibly shut down by the IDF. Jan Kristiansen of the Temporary International Presence described the forced eviction of Palestinians as “ethnic cleansing”. The Temporary International Presence is an observer mission made up of six European nations’ civilians, and it monitors breaches of international law in Hebron and the West Bank on behalf of the Israeli and Palestinian authorities. The Temporary International Presence are seen by some Palestinians I talked to as ensuring the situation hasn’t deteriorated into anarchy. However, the Temporary International Presence may not be in the city for much longer – leaving the situation in the city even more confused. As a result of all this conflict, the ancient city of Hebron is melting away, hidden from the gaze of international attention. Its woes stem from the fact that ideologies are frequently considered more important than compromises. And as usually happens when the extremes fight it out, it’s the civilians caught in the middle, who suffer the most.